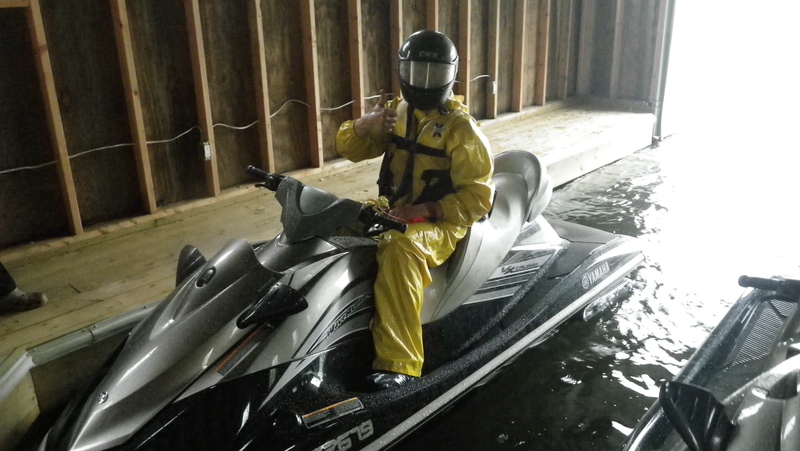 May 22, 2013 | Welcome to Little Gull Marina! We hope everyone had a great long weekend! The weather couldn’t have been much better and we saw lots of kids (big and small) out for boat rides and ice cream! It was great to see so many familiar faces back in the area and to meet some new ones as well. The mosquitoes have arrived over the past few days as you may have noticed and they sure are enjoying the wet, rainy weather we’ve had so far this week. We’re still working away to get boats, boats and more boats floating so if you’re thinking about getting the toys out soon for another season be sure to get in touch with Sally and give us at least 2 weeks notice. 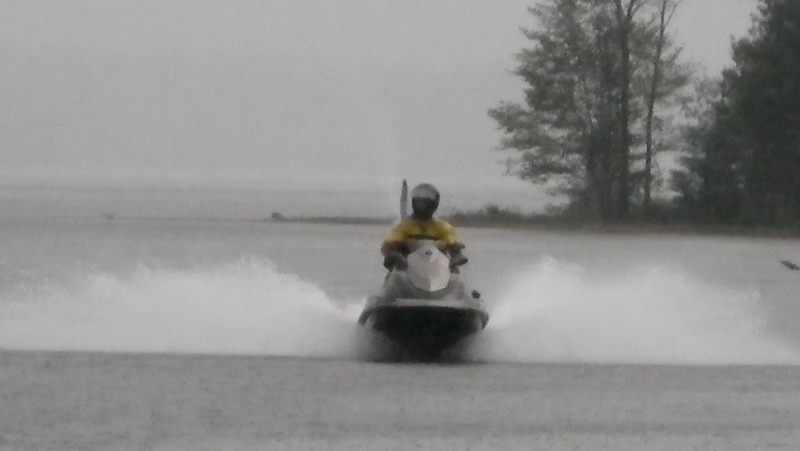 The picture today is Luke out test driving seadoos in the pouring rain last night. Seems he has his seasons mixed up but snowmobile helmets apparently provide good protection from the bullet-like drops! Have a great week and thanks for all the visits this weekend!